The Artist Expounds (287/365 v2.0) – Annoyingly Boring? Today, after the workshop I am attending, I had a chance to listen to a master photographer speak on his work. 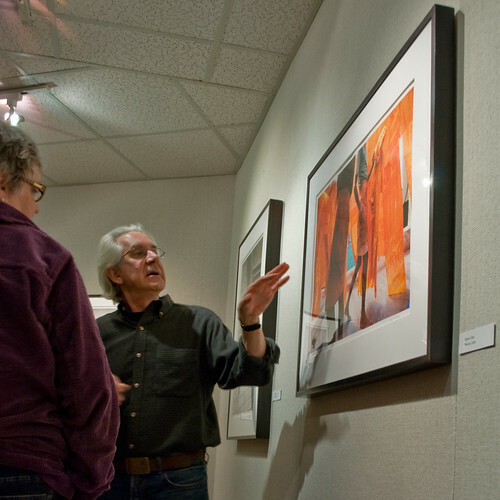 Cary Wolinsky, a retired National Geographic photographer was at South Shore Art Center to support his Fiber of Life show (on display through the end of the year). I wished I had more time at the end of Mr. Wolinsky’s talk to hang around and soak in some knowledge from a hell of a photographer, but I had to run. If you are on the South Shore, I strongly encourage you to find your way to see his work. The images are amazing. I agree . It is a wonderful show. How nice you were there for his talk. The fundaments of art have been disapproved for regulating what is designatedas contemporary art. Corporations have attempted to integrate themselves into the contemporary art world: showing up contemporary art within their premises, organizing and sponsoring contemporary art awards and building up extensive collections of corporate art. There are close relationships between publicly funded contemporary art organizations and the commercial sector. From one perspective, contemporary art is the art of the immediate present.